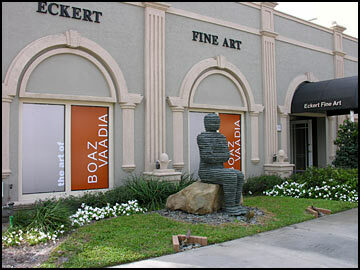 In February 2006, Eckart Fine Art in Naples Flordia featured a hugely succesful show of Vaadia works. 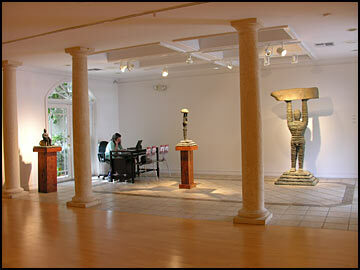 Approaching the gallery we see "Asa" sitting out front. 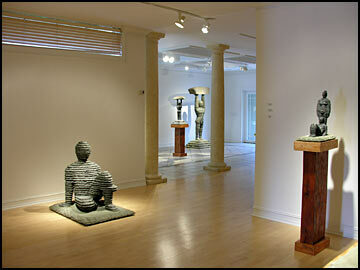 Walking in past the reception area of the gallery we find the large bronze, "Shimshon", the unique bluestone piece of the exhibition, "Shimri" and then the bronze "Ahino'am" seated on a pedestal. 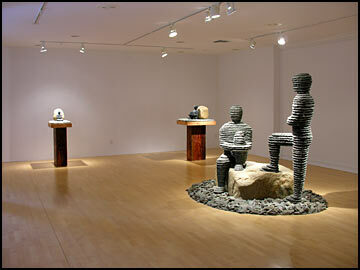 The first main room displays "Yizhaq & Eli'av" in the foreground with "Mahli" and "Avishay" from left to right along the rear wall. 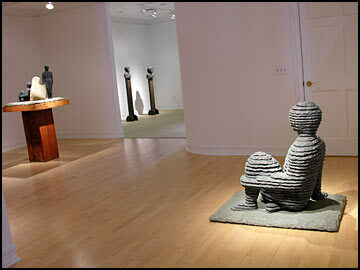 "Gilalay" sits in the foreground with "Ge'u'el and Binyamin" by the doorway. 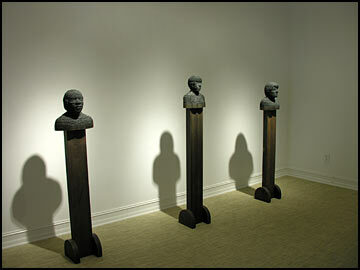 Moving into a room with stone head portraits we see "Dawne", "Fay", and "Elaine" from left to right. Headed back out towards the exit we can see "Hanna & Elqana" and another view of "Gilalay." 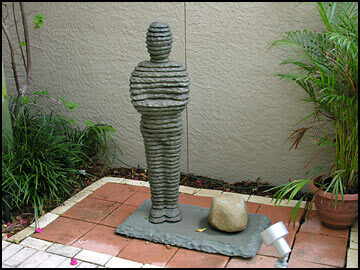 One Vaadia's earliest bronzes, "Zur" is stationed outdoors.